The state of Iowa may be privileged to have, collectively, the second-lowest drug abuse rate in the country, but Iowans do not rest on their laurels. They have recognized its existing drug-related problems, to the point of initiating various action plans and educational programs, including Take Back for prescription opiates. Methamphetamine is a major scourge in Cedar Rapids, as is pot, alcohol, and prescription opiates. Cocaine use represents less than 1% of the population, based on treatment center admissions.. Year-to-year pot, heroin and meth have morphed into greater and greater strengths, as they are typically laced with other elements to deliver relief to an addict that is no longer received by prescription opiates alone. If you live in Cedar Rapids and have fallen victim to substance abuse don’t hesitate to seek treatment. There are enormous resources in at your disposal. Cedar Rapids physicians, like many around the country, have undertaken more responsible roles in terms of granting of prescriptions to their clients. This will continue, as medical doctors are increasingly pressured to respond to the growing prescription painkiller problem. Alternative methods of pain relief are also being offered by various health centers, including such healthy options as yoga. The outlook for Cedar Rapids to curb its primary substance issues is optimistic, and likely to continue its recent trends.. Alcohol and pot use will remain popular especially with young people, until either such proactive or healthier methods take hold on a wider basis, or until the event of a personal tragedy, or death. One hopes the city can attain an increasingly effective grasp of its increasing issues, but for now Cedar Rapids remains a model of efficacy for fighting drug abuse. Cedar Rapids is consistent with its parent state in terms of its drug issues. Statistics are very much in line with the rest of the state, and the specific drugs most frequently misused are also nearly identical. Recent headlines (2017-2018) include: Opioids, Meth and Marijuana Top Cedar Rapids Drug Problem; Meth Remains Cedar Rapid’s Top Drug of Choice; Cedar Rapids Man Arrested on Several Drug Charges; Cedar Rapids Woman Arrested Following January Drug Bust at IC Hotel; Huge Iowa Drug Ring Busted: More than 20 People Convicted in U.S. Court in Cedar Rapids; and Johnson County Sheriff’s Office Makes Massive Drug Bust. Why reprint these headlines? To reiterate that though Cedar Rapids drug problem is considered well below the country average, the issues still exist. Otherwise, Cedar Rapids itself is a beautiful city. It is the second-largest city in the state, and the county seat of Linn County. It is within the Cedar Rapids/Iowa City Corridor, which includes the counties of Linn, Benton, Cedar, Jones, Washington and Johnson. The area of Cedar Rapids is 72.07 square miles, of which 1.27 square miles is water. The 2016 estimated population of the city is 131,127. Cedar Rapids is considered Iowa’s hub for arts and culture. The present median family income is just over $65,000, which is slightly above the national average. Muslim culture is strong in the city, with several mosques spread throughout. Racial makeup is predominantly Caucasian, at nearly 90%. African American follows, at 6%, and Asian, at 2%. Hispanic or Latino of Any Race makes up 3.3% of the state’s population. The city’s major economic driver is corn and grain processing, though many large corporations, such as Toyota, maintain offices in the area. Cedar Rapids is a model city in many ways. It is a model of diversity, of culture, and of stepping up to its drug-related problems. Regarding the latter, again, the battle continues. The efforts, however, continue to yield notable results. Opioid abuse continues to grow and evolve, as it has year-to-year since 2015. Opioids aside, methamphetamine and marijuana are considered the most commonly-used addictive substances in the state. Both pot and heroin use are increasing based on an ongoing increase in potency, which makes them potentially more addictive, and dangerous. Drugs with a synthetic (or natural) increase in potency are being manufactured more cheaply than ever before, making the profit margin of Iowa traffickers that much higher. 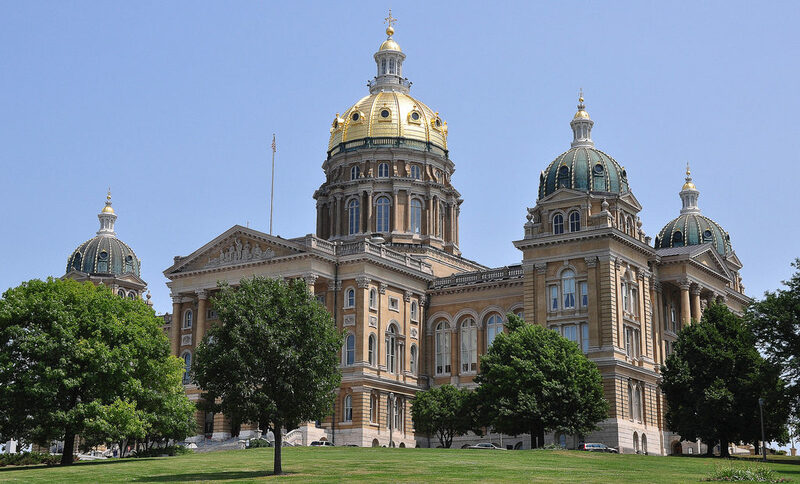 The state of Iowa, on a more positive note, maintains one of the lowest overall rates of illegal drug use in the United States, at 6.27%, which is well below the national average of 9.77%, and second only to South Dakota at 5.82%. Alcohol and tobacco use continued to decline in 2017, as they have year-to-year since 2015. From 2004 to the present, these numbers have decreased by 50%. 21% of all Iowa adults are considered “binge drinkers,” a figure that (still) exceeds the national average of 17%. Alcohol and drug-related traffic fatalities increased from 2016 to 2017, hitting a nine-year high of 107 such incidents attributed solely to alcohol, and 84 incidents attributed to drugs and alcohol both. Pot use use among 11th-grade high school students declined another 10% from 2016. Non-medicinal use of prescription medication decreased 4%, but treatment center admissions increased by the same percentage. Methamphetamine use among young people is lower than the national average, attributed in part due to the lessening of meth labs in the state, which in 2017 numbered less than 85, and is expected to be less than 50 by the end of calendar year 2018. Note: Over 1500 meth labs operated in the state, as a comparison, in 2004. The lifesaving Naloxone, a drug used to treat heroin overdoses, has increased in carry and administration by first responders, and family members and friends of addicts. Alcohol and drug-related hospital emergency room and treatment center admissions continued 2016’s upward trend, numbering 46,429 in 2017. ER and treatment center admissions in 2017 were due to the following as primary causes, in the following percentages: 45.2% for alcohol, 25.3% for marijuana, 19.8% for meth, 6.2% for Other Substances (including opioids), and 2.5% for heroin. Cocaine represented less than 1% of all such admissions as a primary cause. Overdose deaths caused primarily by opioids were 180, an all time high. To reiterate, on a purely statistical basis, Iowa represents the second-lowest drug-plagued state in the country. Various efforts, included the lauded Take Back program for unused prescription opioids, have had an immensely positive effect. That said, though the numbers are less than in most of the country, drug issues in Iowa are still problematic, not only for the addict but for loved ones of the addict, employers and more. Regardless, kudos to you for checking such online resources. That’s certainly a proactive start. A quick note, however: Even if you don’t believe you are addicted, but are concerned that your usage is growing, help is out there. You do not have to be on the far side of addiction to reach out to various resources on The Recover. In the same spirit, if you are drawn to use, but have not yet, The Recover provides resources available to you as well. It is never too early, nor is it ever too late. These are tools that have been formed for reason, and they are there for you. As an outpatient, you are not enmeshed in a structured environment, you live at home and you are not under constant supervision. However, outpatient treatment is no less important or helpful than inpatient treatment. Though the scheduling of your appointments may be flexible, you still need to commit to the time. If you miss one appointment, you will likely miss another. Sober houses are also highly-structured, and most residents are referred to a sober living environment from a rehab center. Requirements and rules are strict, and they usually include: No drugs or alcohol on the premises. No violence. No overnight or sleepover guests, not even family. Commitment to random drug testing. Involvement in a community-related program. Acceptance by a peer group. Acceptance of advice from treatment professionals. Respect for the rules of the house. Following all directions. No swearing. No stealing. No sexual activity between residents. Honesty. As part of a recovering community, if you see or hear any resident breaking the rules of the community, they must be reported immediately to appropriate staff. Anyone on prescribed medication must inform the house manager upon admittance. Residents must attend all sober house meetings. Residents must submit to drug and/or alcohol tests upon request. Rooms must be clean at all times. Chores must be completed without argument. Curfew must be respected.